John Russell Pope, “John Russell Pope's design for the Lincoln Memorial, #1,” Histories of the National Mall, accessed April 22, 2019, http://mallhistory.org/items/show/460. 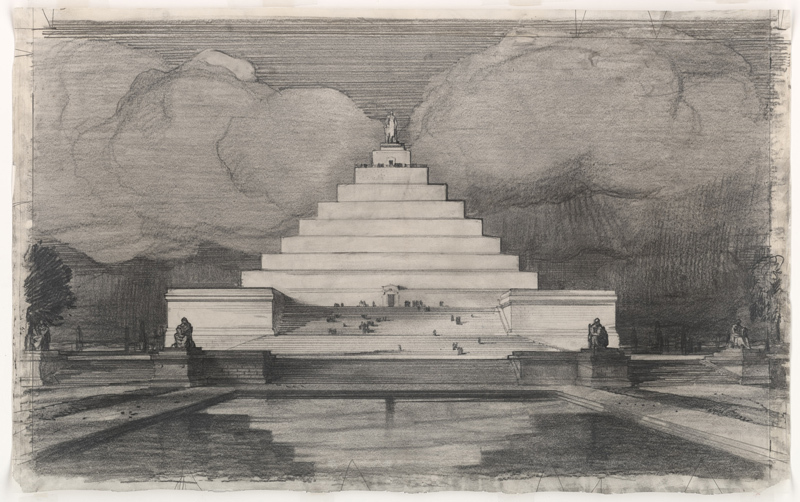 In 1912 John Russell Pope submitted several entries to the design competition for the Lincoln Memorial. They were each distinct from one another. This submission was a unique pyramid design. Known as the Ziggurat Style, this style features middle eastern inspired stepped pyramids.